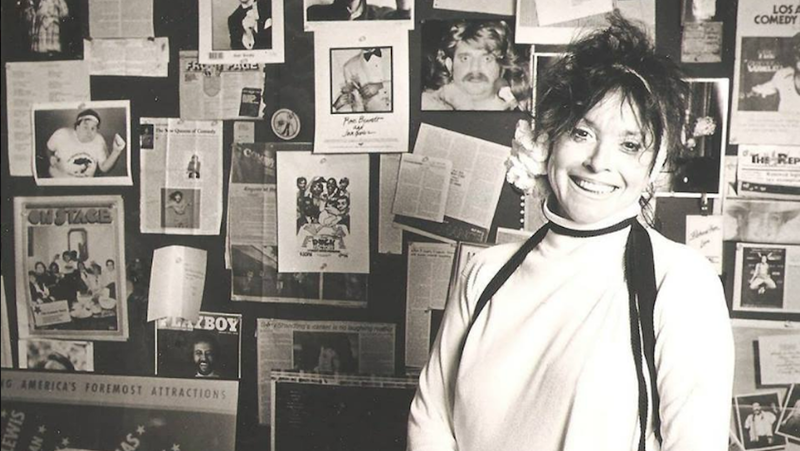 Mitzi Shore, co-founder of famed comedy club The Comedy Store in Los Angeles, died Wednesday morning at the age of 87. It is with great sadness and very heavy hearts that we report the passing of Mitzi Shore, the legendary Godmother of the world famous Comedy Store. Mitzi was an extraordinary businesswoman and decades ahead of her time who cultivated and celebrated the artistry of stand-up comedy. She was also a loving mother, not only to her own four children, but to the myriad of comedians who adored her. She leaves behind an indelible mark and legacy and has helped change the face of comedy. We will all miss her dearly. Shore’s club—which she opened in 1972—hosted comedians like Robin Williams, Jerry Seinfeld, David Letterman, and Jim Carrey. The L.A. Times reports that, in fact, Carrey once worked the door at The Comedy Store. He and a number of other comedians were deeply involved in Shore’s life, leading many to call her the “godmother” of comedy. Her career was not without controversy; in the late seventies, a group of comedians walked out of the club in protest over Shore paying headliners to fill her Vegas location. She ended up giving stand ups a pay increase to end the picket line. In 2009, it was reported that the club would be inherited by either Pauly or Peter Shore, who have been responsible for its operations for some time.